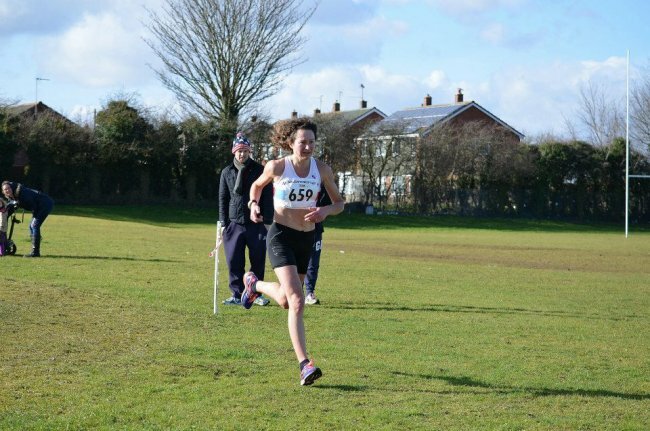 Two course records were smashed to smithereens at the notoriously tough Stamford Striders 30k on Sunday, when local athletes Aaron Scott and Philippa Taylor won in style on home turf. Here's Ruth Jones' report. Scott, who lives in Stamford and runs second claim for Nene Valley Harriers, broke the 9-year old best by over a minute when he broke the tape well over five minutes ahead of his closest rival in 1:37.52. He covered the challenging 18.62m at an average pace of just over 5min/mile pace to complete an astonishing 140 mile training week. Fellow NVH athlete Taylor also continued her impressive winning form, obliterating the F45 record by more than seven minutes in 1:58.08. She was followed in by team mate Tracy McCartney, whose time of 2:03.50 proved she is well on course for a strong marathon debut in London in less than two months’ time. Scott said he was happy to fulfil his plan to run the first 16m of the 30k at marathon pace a few weeks out from his second attempt to hit the Commonwealth Games and European Championships qualifying standard of 2:16 or below at Manchester in April. He said: “I was running around 5:10 pace through 10 miles before the wind and hills took effect and was even a little quicker through 10k - I think the sub-5 first two miles was a little too quick! I then relaxed back into around marathon pace over the middle 10k, and once I got to 25k eased off slightly. “However, with it being a tough last 5k, it was quite hard to ease off, and I actually ended up running 5:15 pace for the last few miles. Fingers crossed that I can maintain this fitness for the next seven weeks and go into Manchester with a chance of hitting the qualifying standard.” He had little time to recover before his next competitive outings, with a high quality 5k in Armagh on Thursday (Feb 20) and the National Cross Country Championships at Wollaton Park, Nottingham, on Saturday (Feb 22). Taylor’s time was so fast that she was actually third in for NVH, but the men had to wait for Sean Beard to cross the line in 1:59.51 to make up their prize-winning team, led in by Michael Moore in 1:50.37 and Paul Lunn in 1:51.18. Jim Morris was first in for the host club, with the V45 clocking an impressive 1:57.12. Vicky Old was first lady in for the Striders, crossing the line in 2:23.47, more than three minutes faster than her mark last year. 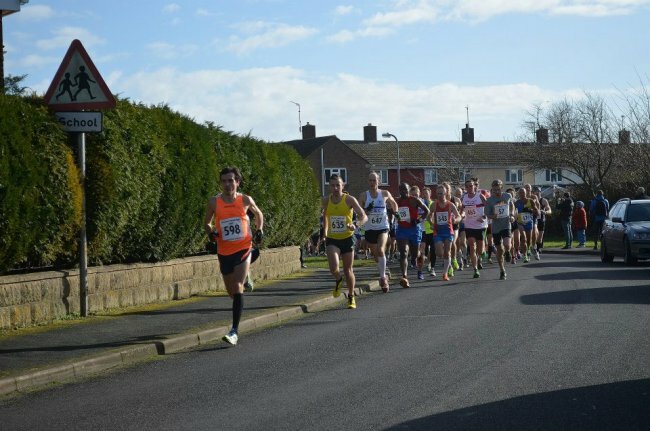 501 runners completed the race, marking another successful year for the Stamford Striders’ Valentines 30k.